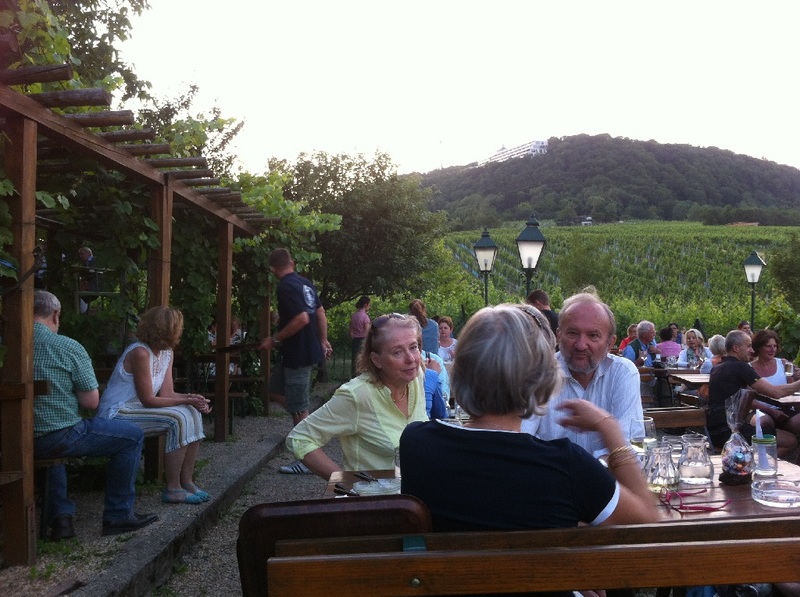 You can drink a melange in Café Central, listen to Strauss at the Musikverein or feel like an empress in Schloss Schönbrunn. 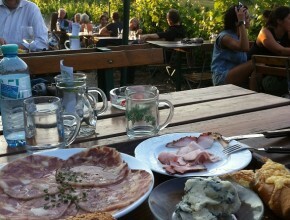 But the best Viennese experience is drinking a Grüner Veltliner at a gemütlicher Heuriger. 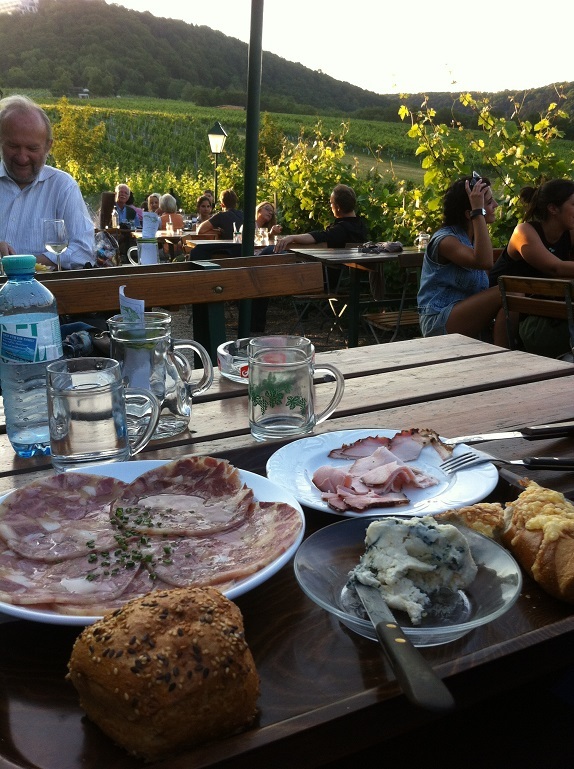 A Heuriger is a wine tavern where they serve the best Viennese wines and local specialties like cheese, meat and bread with homemade Aufstrich (spreads). They often have a garden or courtyard with large picnic tables, where you can sit in the cool shade of the grapevines. 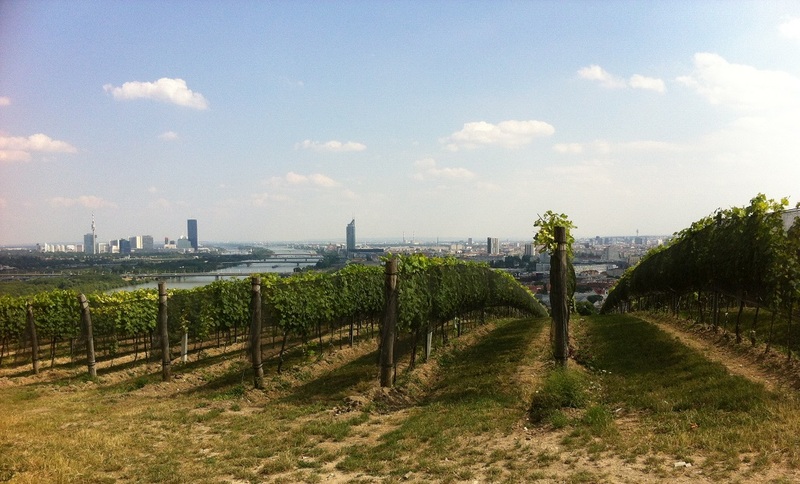 Most of the wine taverns are located just outside of town though, in the middle of the vineyards, with a grande view over Vienna. 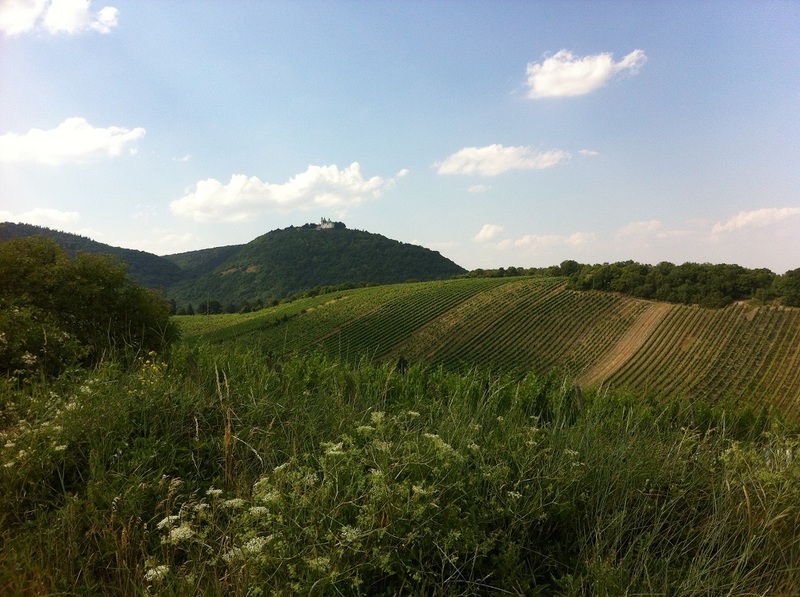 So this week, me and my friend Jordan decided to go on a trip to the Viennese countryside and climbed the hill to Nußdorf. Forty charming, but sweaty minutes later we arrived at Sirbu, where we drank Grüner Veltliner like lemonade, tasted some Schinken and watched the sun go down. 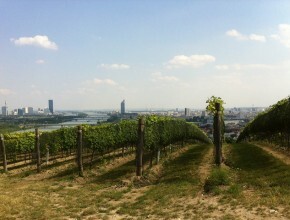 Also, we noticed that the crumpyness of Viennese waiters isn’t limited to the inner city.